2nd Place – 54 John Voyles Sr. and John Voyles Jr.
Fun was had by all on Sunday of the Legacy Member’s Tournament. this was an individual low gross – low net tournament that allowed members to see the course in a whole new light! 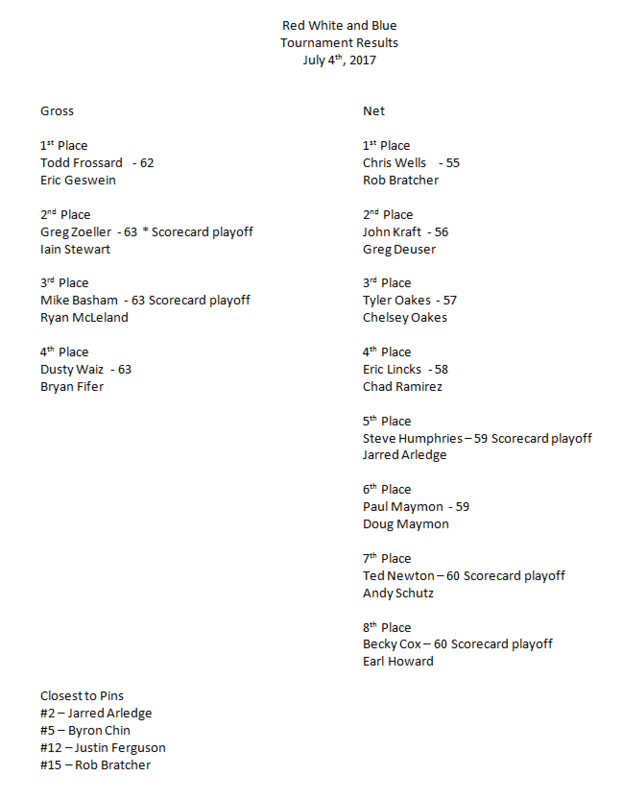 There was closest to the pin contest and two closest’s to the pin second shot contest on holes #9 and #18. Randy Welman and his staff grilled out all day long and everyone had a good time! 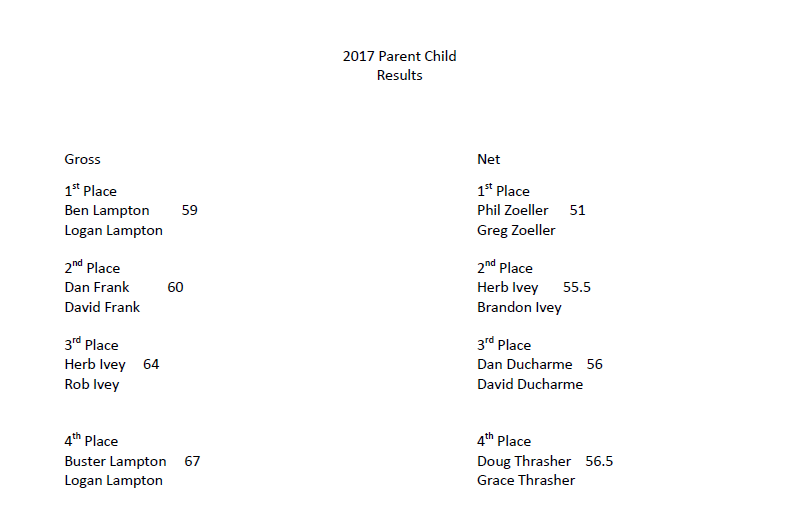 the winners were too numerous to mention really but I’ll at least state the first place finishers in each division.